Firstly, apologies for the late post. My excuse is the usual, busy doing the project and travelling for the day job, compounded by moving from PC to Mac. So this months piece is being prepared on Komodo and uploaded using Cyberduck, so here goes. 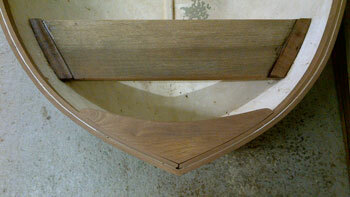 January has all been about adding more woodwork to the tender. 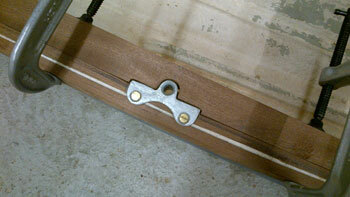 including a reinforced stern sheer clamp. 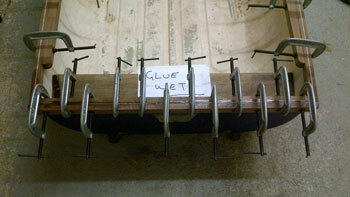 And here they are installed on the boat prior to bonding. 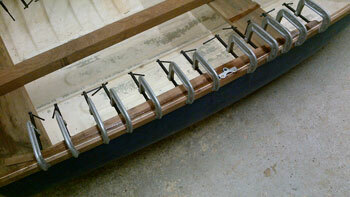 I decided this flimsy boat needed some stiffening of the sheer so less energy would be wasted whilst rowing. 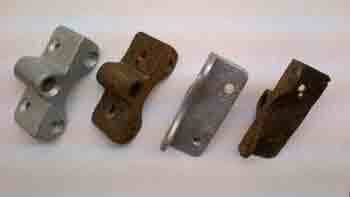 We inherited this tender and the breast-hook disappeared sometime prior so time to give it a new one.